Quality is one of those elusive characteristics upon which so much depends but about which is so little known. The number of definitions for quality probably equals the number of writers on the subject and the various interpretations range from those of extreme simplicity to others which are complicated and detailed. It is important to note that quality is not judged by a single characteristic but by many. We can thus define quality as the sum total of all those attributes which combine to make a product acceptable, desirable and nutritionally valuable for the consumer. Note that the number of properties used to determine the quality of the product is not mentioned. This is because it is a relative concept and not all people judge the quality by the same parameters. The consumer can only make a cursory examination of the product and his evaluation is not acceptable as an accurate assessment. The most widely used individual attributes of horticultural produce, but not necessarily the most important, are yield, size, colour, texture, flavour and absence of defects. There are many others some of which pertain to specific crops or produce such as nutritional value, health, condition, viability and trueness to type. Thus the whole subject of quality is somewhat nebulous, not only because the consumer is unaware of some of the constituent parameters but also because from day to day it is almost impossible to assess the relative contribution of each property to the general quality image of a product. Some of the parameters will be discussed only briefly. Factors that influence colour are numerous. The two most important factors influencing colour is cultivar and maturity. Other factors are also important such as climate, environment, season, soil type, plant nutrition, plant density and habit, post harvest treatment, processes used for canning, quick freezing and dehydration factories. Maturity has the most profound effect on the colour of vegetable produce. Nearly all produce are green in the early stages of development and only attain their characteristic hue at full maturity. Some produce such as tomatoes are picked when green and mature within a day or two when presented to the consumer. Other tomato varieties such as the processing type are left on the vine until ripe before harvesting. Defects are always present in horticultural crops due to the very nature of the environment that they are growing in. There will always be a proportion of the fruits that deviate from the average shape. The fact that there are so many insects in nature, means that some of them will damage some of the fruit at various stages of growth which in turn will have various affects on its shape. Genetic or physiological: in the form of structural damage such as malformed fruit, off colour leaves and fruit and character such as a deviation of texture due to maturity. Pathological: Damage by bacteria, fungi and viruses. Mechanical: Damage cause by branches and handling. Other defects caused by other means. Flavour is one of those hidden quality characteristics for which the consumer can only select once she has knowledge over cultivar/variety or recognizes the product by its brand name. 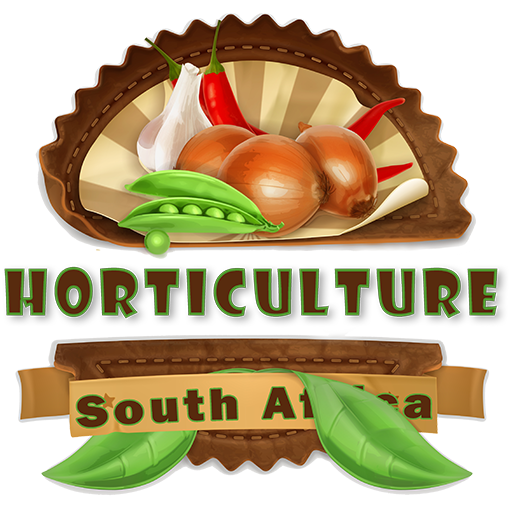 Since flavour is such a personal item it is very difficult to establish what is good flavour for a specific product, let alone all horticultural products. The flavour of a product is determined by a complex combination of many “volatile compounds”. The most important factors affecting flavour is maturity and variety. Fertilizer application and irrigation schedules play a secondary role in determining the flavour of horticultural crops. Nutritional value is a hidden quality factor since it cannot be seen when the product is bought. The only time when this aspect of the product becomes available, is when the information is published on the product or its packaging. Publishing the nutritional value of some products is becoming increasingly important since it is used as a marketing tool to sell more of the product. In the past 20 years processed foods are enriched with additional vitamins and proteins in order to benefit the end user. Humans need up to 40 different compounds each day in their diet. Mineral substances form the main component of the diet and the remainder can be divided into carbohydrates, fats, proteins and vitamins. The most important sources of these chemicals are fruits and vegetables. The content of these nutritional components differ in each crop due to variety, soil type, maturity, cultivation practice and fertilizer application. The components of the major food ingredients will be discussed. The average man needs between 65g to 90g of protein per day depending on how active he is. Most people derive their proteins from products such as meat, milk, cheese etc. Vegetables should not be discarded. There are crops, such as the leguminous crops that are relatively high in proteins. Most vegetables contain high concentrations of starch. Since proteins consist mostly of nitrogen the belief was that increasing nitrogen fertilizer will increase the protein content of various crops. However this is not true. Increasing the nitrogen content decreases some essential proteins and thus decreasing the nutritional value of the crop. In tropical areas such as in Africa, people derive 80% of their carbohydrates from plants. Carbohydrates are used for energy and are divided into two simple sugars called monosaccharides and disaccharides and complex sugars called polysaccharides. Monosaccharides are reducing sugars and include glucose which is found in natural fruit juices. Disaccharides consist of sucrose (a non reducing sugar), lactose and maltose. All these sugars are important in the human diet. Polysaccharides are composed of larger more complex molecules and include starch and cellulose (Figure 30‑3). The sugar content of various horticultural crops is especially important during processing. Sugar content is measured in a unit called “Brix”. 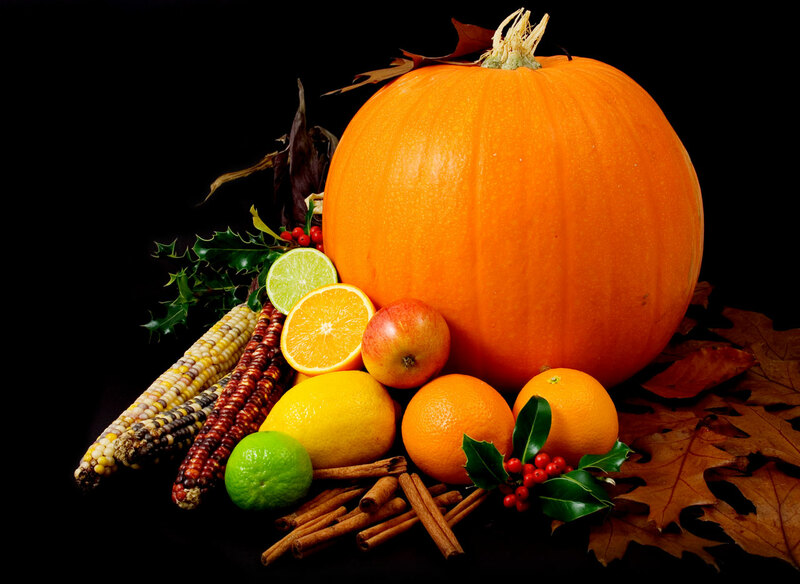 The quality of export fruit and vegetables are measured by their sugar content. If the sugar content is to low it is returned and the farmer pays the air fare. The three different carbohydrates found in vegetables. 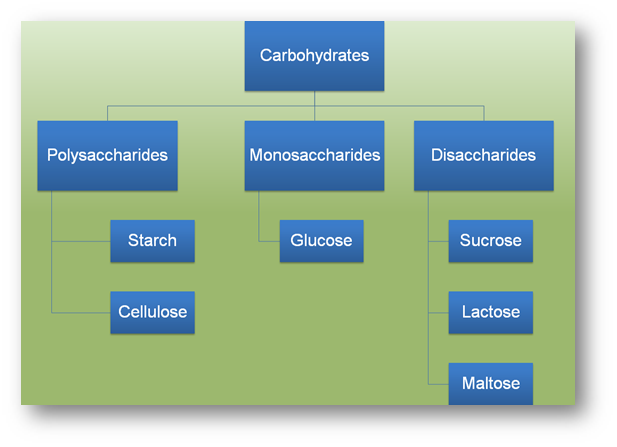 Simple sugars are monosaccharides and disaccharides. Complex sugars are polysaccharides. The third important nutritional requirement in the human diet is fat. Fat is not that important in the horticultural products since most horticultural product contain very little fat. Exceptions are avocado pears, various nuts, beans and old potatoes. Vitamins are grouped into two categories depending whether they are soluble in water or fat. The fat soluble vitamins are A, D, E and K and the water soluble vitamins are Vitamin C and those of the B-complexes. Various factors affect the vitamin content of horticultural products. Variety is an important factor. Some varieties are bred in order to have a higher concentration of vitamin A. Crops grown in the winter have lower vitamin A concentrations than those grown in summer. Some vitamins are essential such as Vitamin K and are found in various horticultural products, but that is not the main supply. Bacterial flora in the human intestines produce Vitamin K in abundance. A summary of where each vitamin is found, alternative names and the function of each vitamin is provided in the table below. C Fresh fruit especially black currants and citrus fruits. Ascorbic acid Body metabolism, resistance to infection, efficient healing of wounds and healthy gums. Minerals are very important for normal bodily functions. Minerals are inorganic compounds, thus they are not produced by plants or any living organism. Most of the minerals we require are provided in animal products such as red meat, however, raw cabbage and potatoes contain small amounts of calcium and iron. Some vegetables, especially those that produce fruit, have important amounts of potassium (K). The mineral content of horticultural products are influenced by soil type, water regime, variety, fertilizer application, the effect of cooking procedures, blanching, canning and freezing. Shape is generally used to describe the outline of a product. 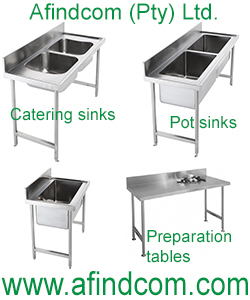 Form is generally used to denote the arrangement of parts of the product and is not generally used in the vegetable market. Style is more distinct and denotes the method of presentation to the public or consumer of a prepared product. The style may be applied the tomatoes that are packed into a punnet, box, canned or presented loosely. Before a farmer or grower starts production he will know which market he would like to enter and select a variety that will produce the shape, form and style suitable for the selected market. However, each variety will react differently to environmental conditions which will influence the shape and form of the produce. The farmer must try and plant two to three varieties that will suit the market in order to reduce the risk of producing low grade produce. Length, circumference, diameter and width are the most common methods of grading and classing vegetables today. For instance, carrots are graded according to length and diameter, peas are graded according to their diameter, cucumbers and baby marrows are graded according to their length. Gem squash are graded according to their diameter. Table 30‑7 provides a list of some of the vegetables sold on the fresh produce markets and the different methods used in determining their quality. Various methods of determining the quality of vegetable crops (L/C/D/W/ stands for Length(L), circumference (C), diameter(D) and width(W) and weight (WT), volume (V) and other methods (O)). In the above table on can see that some vegetables can be measured in more than one way. For instance potatoes can be measured for quality in terms of its diameter but also according to other methods such as purpose. Some potatoes are suitable for chips others are more suitable for mash etc. The same with tomatoes, most tomatoes are measured for their weight and diameter but processing tomatoes are measured according to their pH (Acidity) and sugar content (Brix) and chemical colour. The various parameters used in measuring the quality of produce are influenced by variety, climate, cultural methods, plant density and maturity. For instance, baby marrows, the optimum harvest time will be determined by the length of the fruit (approximately 120mm), however if left for another two weeks in the field the fruit will grow to at least 300mm. At which stage it is unmarketable. The fruit is edible and is also mature at 120mm as well as 300mm, but the market only accepts the 120mm size marrow. Texture is one of the most important aspects of quality in horticultural products. Many researchers have tried to define the term with the result that there are so many it is not worthwhile to try and select the best one. What is important is that each vegetable will have its own definition regarding the factors influencing the quality of its texture. Texture relates to the density, viscosity, surface tension and other physical properties of the fruit or leaf material. Particle size and shape Gritty, grainy, coarse, etc. Moisture content Dry, moist, watery, wet. One of the most important factors affecting texture is maturity. Some vegetables toughen as they mature such as cabbages, Brussels sprouts, spinach etc. Fruits tend to soften as they mature. Cultivar, climate and cultural practice will have an influence in the texture of the end product. The total yield is the sum of the marketable yield and unmarketable yield. Marketable yield is divided into the various categories that make op the grads (grade 1, grade2 etc. other terms are class 1, class 2 etc.). Unmarketable yield is that part of the yield that cannot be sold at any of the national fresh produce markets or at any store. However, unmarketable yield does not mean that one cannot obtain at least some money for the product. An example of yields can be obtained at looking at a tomato yield. The total yield would be 100 tons of tomatoes per hectare (100t.ha-1). Of the 100 tons, only 60 tons is marketable and 40 tons is unmarketable. We have to divide the 60 tons further into class 1, class 2, class 3 and class 4 tomatoes. At the end of the season a farmer would then record the yields at tabulate them as seen in the table below. The categories would change for other crops, for instance, cabbages will be classified into other groups and will also have less groups than those of tomatoes. In the case of tomatoes unmarketable yield can further be divided into all the physiological disorders that can be found such as zippering, cat face, sun scald etc. These disorder will be discussed in later modules. A typical method to group the yield of a tomato crop. It is very important to understand what the average yield of various crops are in order to evaluate if the farmers crop is of a high quality or not. The table below provides an indication of what can be expected from various vegetable crops and should only be used a guideline. Average total yields for various crops growth in South Africa. Effect of cultivar, cultivation method etc. is not included.